Just in time for Valentine’s Day. I recently finished up the Milo vest for my 3yo daughter. Why is this particular vest so perfect for the upcoming day of love? Because of the cable option I chose for it. A hugs and kisses—XOXOXO—pattern. Being that my daughter is a girly-girl and that the yarn I used is so very pinky, the XOXOXO cable seemed like the natural choice. 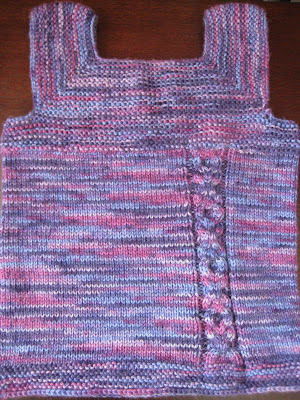 This is the first vest I ever knitted and the first top I knitted for a person. (My first sweater was for Kit.) 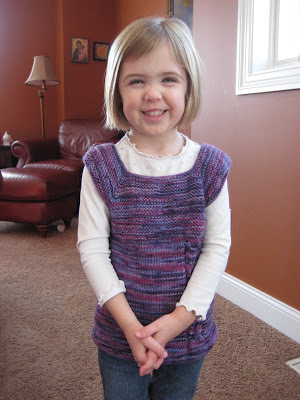 And I think it is a great pattern with which to begin garment knitting. It is fairly quick (always a good thing). And it is knitted completely in the round, meaning there are no seams to be sewn. I learned several new techniques along the way, including casting on in the middle of a row using the cable cast-on method. 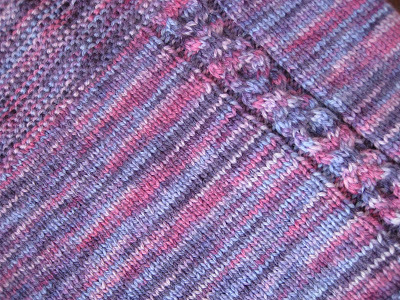 Knitting new cables is always fun, too. I love seeing the design begin to form! Overall, I really like this pattern, and I highly recommend it as very well written. Plus, it’s just so darn cute. Wouldn’t you agree?! My little girl does, as she dances for joy in her new vest! 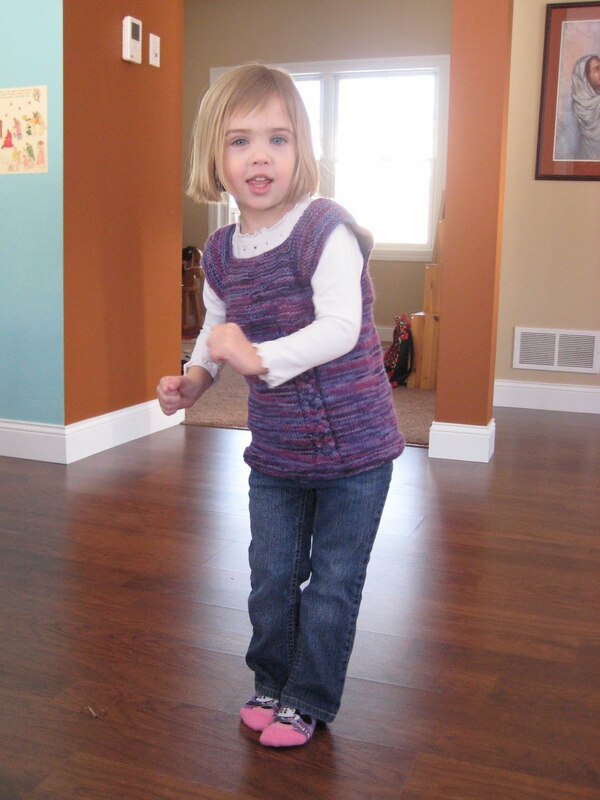 Kinda hard to look at the vest when your daughter is wearing it …. her smile draws the eyes up! 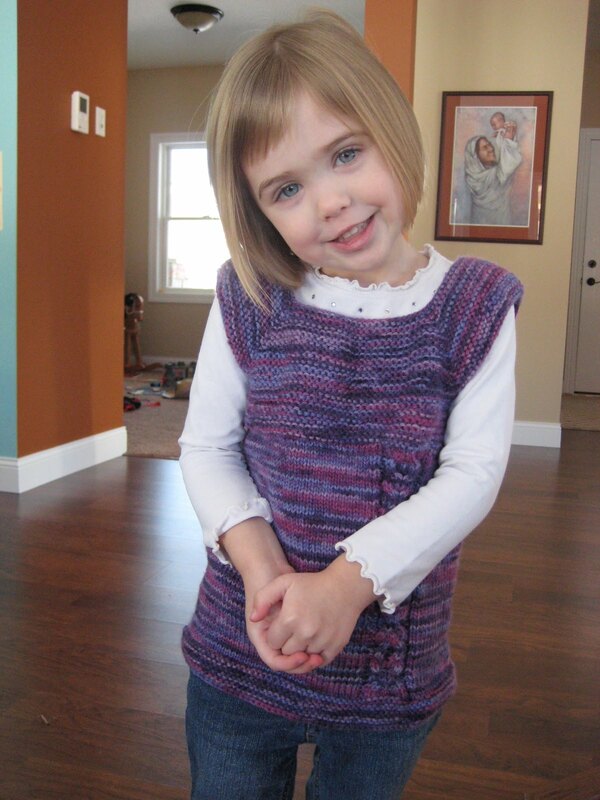 Such a cutie..
very beautiful, both your daughter and the vest!!! This Milo Vest is all the rage! It's super cute!! Oh gosh this turned out fantastic and the little xoxo cables are so cute!! Love the color to 🙂 What a wonderful gift for your daughter 🙂 I still haven't quite decided on what I want to make next *grin*. =) Sooo cute! I love the last picture. Your milo looks so good! This is darling! I love the color! I have a purple Milo queued for my little girl too.